"…to maintain and encourage those aspects of the practice of law that make it a learned and proud profession." Composed of representatives of the judiciary, the Law Society, the legal academy and various legal and county law organizations, the Committee acts as a steering committee and a clearinghouse to generate ideas and to make recommendations to other organizations and individuals within the legal community about initiatives to enhance professionalism. Every year, the Chief Justice’s Advisory Committee awards the best student papers on any subject relating to legal ethics and professionalism. The law firm Rueter Scargall Bennett LLP sponsors the award to encourage law students to think and write about the legal profession. Recently, the 2012 winners were announced. Read more about the Rueter Scargall Bennett LLP Essay Prize in Legal Ethics. 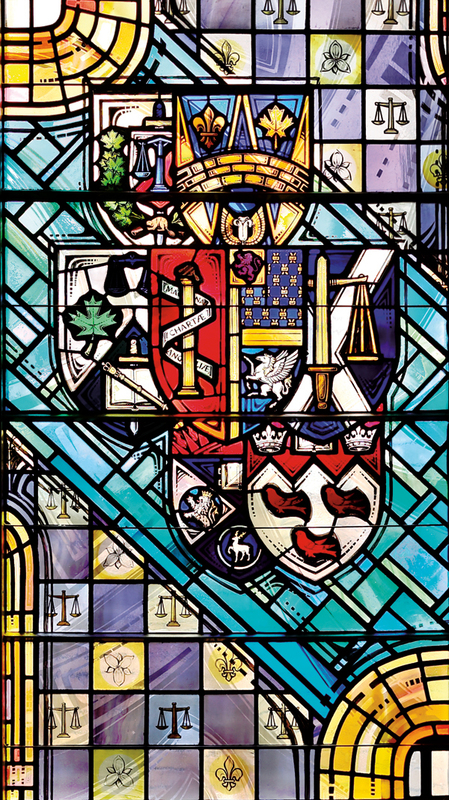 The Chief Justice of Ontario’s Advisory Committee on Professionalism has established The Chief Justice of Ontario Fellowships in Legal Ethics and Professionalism. The Committee has now awarded grants for each of these two fellowships for the 2012-2013 year. A grant of $15,000 was awarded to Professor Brent Cotter of the University of Saskatchewan and Professors Richard Devlin and Jocelyn Downie of Dalhousie University, recipients of the Chief Justice of Ontario Fellowship in Legal Ethics and Professionalism Research. Their project is “Video Vignettes in Legal Ethics and Professional Responsibility (Confidentiality, Conflicts of Interest, Competence and Quality of Service, Civility and Professionalism and Access to Justice / Pro Bono)”. This Fellowship is open to full-time faculty teaching at a Canadian university or college. $5,000 was awarded to Ms. Hanna Askew, student, Osgoode Hall Law School, recipient of the Chief Justice of Ontario Fellowship in Legal Ethics and Professionalism Studies. Her project is “Educational Strategies to Foster Inter-cultural Understanding of Aboriginal Legal Perspectives among New Legal Professionals.” This Fellowship is open to students, licensed paralegals, and lawyers. On Becoming a Professional: What it Means to be a Lawyer - remarks of Chief Justice Warren K. Winkler at the Law Society of Upper Canada's Call to the Bar Ceremony, Toronto, June 15, 2010. "Defining Professionalism" - the elements of professionalism based on key components or "building blocks" of professionalism. Papers from Colloquia on Professionalism - materials from past colloquia, which are educational programs designed to encourage professionalism after the call to the bar, covering a range of subjects on professionalism - a co-operative effort among the legal organizations in the province and Ontario's law schools. Advancement of the ideal of professionalism - exploring methods and opportunities for teaching professionalism in law schools and in the first five years of practice, including creating a database for use by the law schools for curriculum, developing a professionalism "tool kit", intended to provide law firms with educational resources for associates, and a series of six continuing legal education sessions led by distinguished members of the Bar to talk to lawyers about ethics and professionalism. Communications - to promote broader use of materials from the colloquia and advancement of professionalism groups, including a catalogue or tool kit of materials that can be used for professionalism programs and development of subject-specific self-contained teaching modules on professionalism, and exploring the possibility of publishing professionalism material, including that from the colloquia, in hard copy for supply to law libraries. Fourth Annual Warren K. Winkler Lecture on Civil Justice Reform - On October 4, 2010, over 200 people attended the Fourth Annual Warren K. Winkler Lecture on Civil Justice Reform, “Procedure, Proportionality and Professionalism,” at the Law Society.